The trip lasts approximately 2 hours. 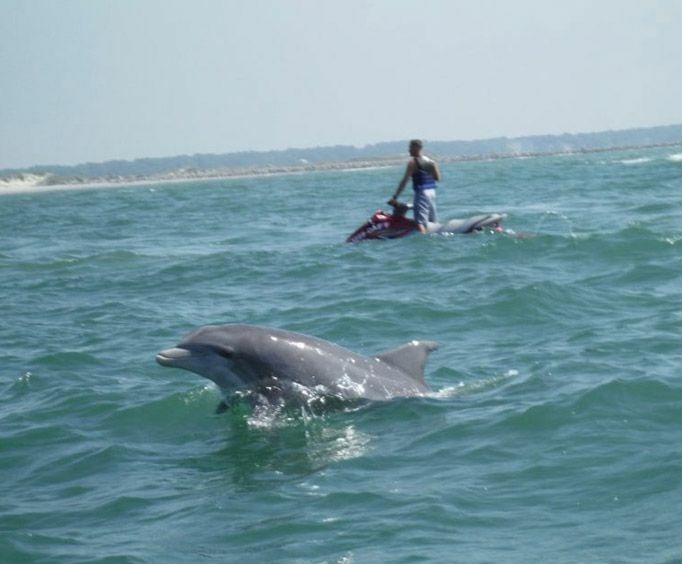 Combining the thrills of jet skiing and the fun and sightseeing opportunities of dolphin watching, the Jet Ski Dolphin Watch is an amazing way to see some of the best parts of Myrtle Beach, SC. 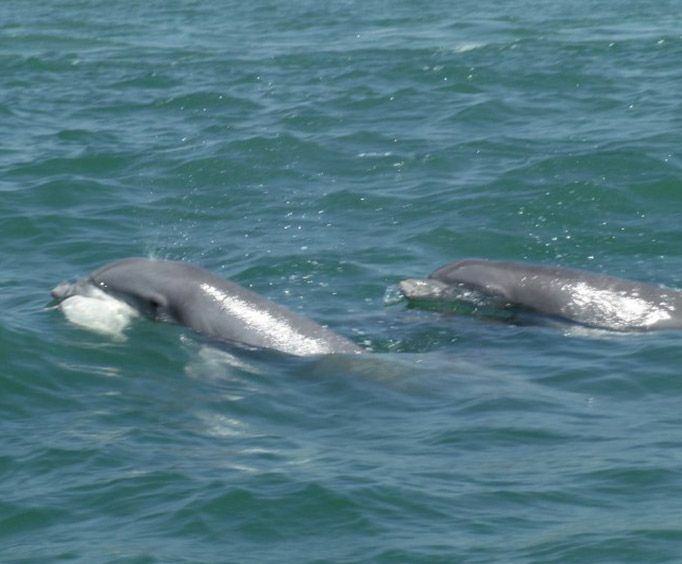 Embark upon this fantastic journey for a unique way to explore the sparkling waters of Myrtle Beach. Climb aboard a jet ski where you'll be guided to the prime parts of the waters where your knowledgeable and fun local guide will show you some of the most amazing places in the area. You'll begin at the Intracoastal Waterway where you'll be safely instructed on how to use your jet ski. Then, zoom away and leave the docks behind for the open water. Some sights along the way include the gorgeous mansions of the Intracoastal Waterway as well as the Historic Little River Swing Bridge, Harborgate Marina, Anchor Marina, luxury yachts, Historic Little River Fishing Village, casino boats, shrimp trawlers, and more. Then, guests will be able to stop at a barrier island where they can trail the beaches, enjoy the sun, and see the shoreline like never before. There are beautiful 30-foot sand dunes to explore and other fantastic scenery. Finally, you'll make your way to the Atlantic Ocean where the real fun begins. Out on this sparkling oasis, you'll be able to spot Atlantic Bottlenose Dolphins, sea turtles, and more. 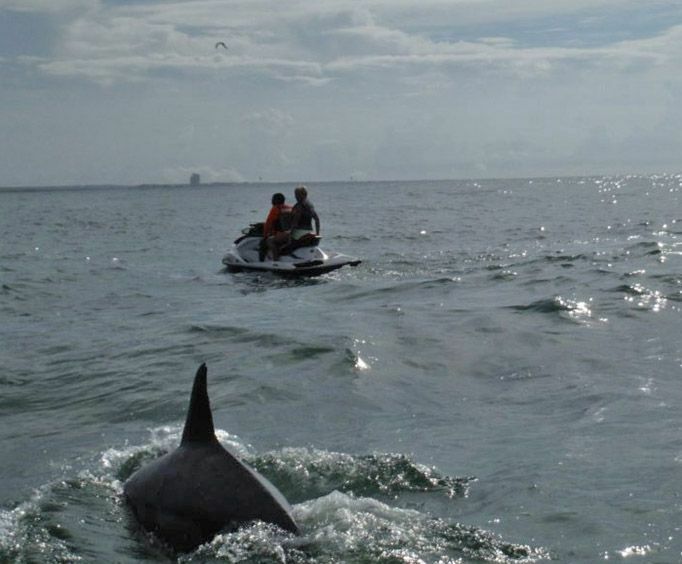 For an unforgettable time in Myrtle Beach, SC, the Jet Ski Dolphin Watch is a must-have addition to your next vacation in the area.